Fund Phase 1: get the word out to Get the Lead Out. Oakland has 7 districts and 8 City Council members. Each district has one Council Member and there is one role that looks out over all 7 districts which is the "At Large" Council Member. We created a map to illustrate 146 micro-communities throughout Oakland and then mapped them to the 7 districts to make it easier to engage in smaller projects. The fundraising amount here equals $1 per person who needs to be notified of their personal risk because they are living in housing that is not known to be safe from lead paint poison. 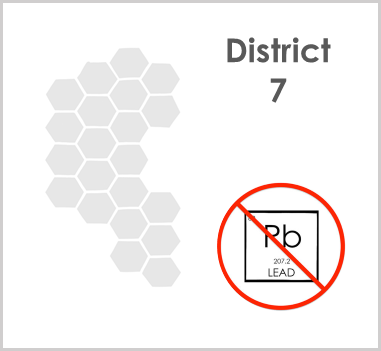 Your contributions will empower and pay community members to perform outreach to their neighbors using our predictive data maps to help them know where to check for lead. SmartOakland will provide data, technology, training, connections to funding options, and certified professionals, and overall reporting to funders as we go the process of getting the lead out if and when it is found and confirmed to exist in each location. This process will create lead-safe housing districts in Oakland. Let's be the first.